“The duties and functions of parliament are sacred, and of immense significance and importance,” His Majesty The King said at the closing session of the second parliament yesterday. Addressing the parliament, His Majesty said that in a rapidly changing world, the mandate and responsibilities of parliament are grave. His Majesty said that Parliamentary discussions covered numerous and diverse issues in the interests of the nation and the people. “The discussions and debate are not meant to settle individual or political differences. They go far beyond personal intentions, benefits, and motives,” His Majesty said. In the process of debate on issues of grave national importance, His Majesty said, it is inevitable that there would be differences of views, disagreements, and heated exchanges. “The Parliament is also the institution that is responsible for the important task of balancing present needs and future goals,” His Majesty said. While the Parliament must serve to the best of abilities, it should for the future, frame the best goals, policies, and plans. An air of accomplishment and mirth pervaded the Parliament hall, which frequently erupted into chaos and harsh debates in the past four and a half years. With their heads bowed towards the Golden Throne, members adorned a docile look, as their representatives took turns to thank Their Majesties, His Majesty The Fourth Druk Gyalpo, and the Members of the Royal Family for their selfless and continued service to the security, peace, prosperity and harmony of the country. Prime Minister Tshering Tobgay, National Council Chairperson Sonam Kinga, Opposition Leader Pema Gyamtsho, and the National Assembly Speaker Jigme Zangpo thanked Their Majesties for gifting the nation with His Royal Highness The Gyalsey, who had impressed both the leaders and people of India and Thailand during the state visits earlier this year. Lyonchhen Tshering Tobgay said Bhutanese are most fortunate to be subjects under the rule of the benevolent Kings in a sovereign and prosperous nation, enjoying peace and harmony. He made special mention of His Majesty’s involvement in resolving the recent situation at Doklam, which threatened the sovereignty of the country. “Most Bhutanese don’t know but His Majesty visited the place and resolved the tension for which I on behalf of the entire Bhutanese population thank you,” he said. Sonam Kinga added that the President of India, during Their Majesties’ visit to India recently, conveyed deep appreciation for His Majesty’s personal involvement and guidance and the support provided by Bhutan in addressing the recent situation in the Doklam area. “Despite his age, HRH The Gyalsey has done in a matter of days what the ministries and agencies took years in strengthening the relations between Bhutan and India,” National Council chairperson Sonam Kinga said. His Majesty motivated people to vote in the first parliamentary elections in 2008, reminded about the nation’s priorities on numerous public occasions, and supporting the decisions of the Parliament by granting assent to every legislation. Opposition Leader Pema Gyamtsho said that as promised during His coronation, His Majesty has continued to rule the subjects as a parent, brother, and son. He said that His Majesty The King continues to strengthen peace, security and sovereignty of the country, granting Kidu to the people in form of land to the landless, medical aid to the sick, homes to the homeless, scholarships to the destitute students, granting citizenships and many others. Speaker Jigme Zangpo thanked His Majesty and His Holiness the Je Khenpo. He said the clergy continues to serve for the wellbeing of the nation. The Speaker updated the House on the Parliament’s business in the last session. It enacted the Narcotic Drugs, Psychotropic Substances, and Substance Abuse (Amendment) Bill 2017, Information, Communication and media Bill 2017, and Tourism Levy Exemption Bill of Bhutan 2017, the Audit Bill 2017, passed the Agreement between the Royal Government of Bhutan and the Government of the People’s Republic of Bangladesh for the Avoidance of Double Taxation and the Prevention of Fiscal Evasion with Respect to Taxes on Income. Led by the central monk body, the members of the Parliament offered Zhabtoen or prayers for the good health and long life of His Majesty The King, and Tashi Moenlam, a tradition that symbolises the fidelity between The Druk Gyalpo and the people of Bhutan. His Majesty The King, Her Majesty The Gyaltsuen, and members of the Royal Family, graced the closing ceremony. Members of the international community, civil society organisations, civil service, armed forces, and the clergy also attended the closing ceremony. Concerns on the increasing number of regional tourists in the country, minimum tourists during low seasons, domestic tourists visiting places outside Bhutan for pilgrimage and uneven distribution of tourism activities in different dzongkhags were shared at the joint sitting of the parliament on December 6. However, economic affairs minister, Lekey Dorji, said that apart from the concerns, regional tourists have also benefitted the handicraft sector, small hotels and taxi drivers. He said that when the government discussed the issue, small hotels and tourist guides shared their concerns on the impact of regional tourists to individual businesses. To monitor and regulate regional tourists in the country, mandatory entry fees in tourist sites and an e-permit system are in place in Phuentsholing. Lyonpo said that a study is being conducted to assess if the e-permit system could also be set up in Samdrupjongkhar and Gelephu. On concerns of less tourists visiting during low tourist seasons, Lyonpo Lekey Dorji, said that to increase tourist arrivals visit during low tourist seasons, special friendship offers were made to Thailand and Japan in the past. Tourism Council of Bhutan (TCB) has reported to consolidate the programmes of local government of the 12th Plan with TCB’s to integrate tourism activities in the Plan. It was also informed that TCB is working on opening a regional tourism office in the east and central region to facilitate tourism development. A recommendation was made by Panbang MP Dorji Wangdi to fix a deadline for the completion of tourism policy, which is being drafted today. However, because tourism council has already submitted an action plan on the drafting of the policy, the need for a deadline was felt unnecessary. 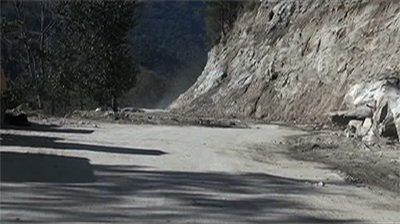 The east-west double lane road widening works in Trongsa is set for completion before the onset of next monsoon. Officials from the Department of Roads Regional Office in Trongsa say about 60 per cent of the works are complete as of now. 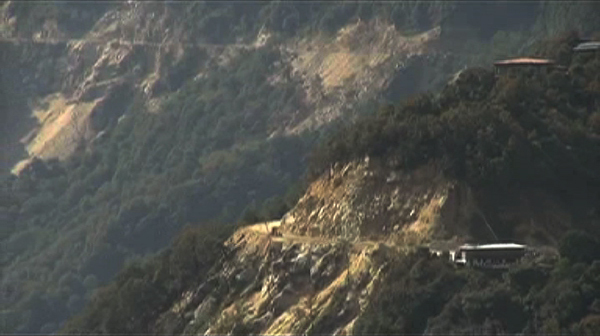 The 100-kilomtetre east-west highway stretch in Trongsa starts from Chuserbu in Trongsa to Nangar in Bumthang. The contractors too are optimistic about completing the works on time. “Last summer, we faced lots of problems due to the heavy rainfall,” said Yogita Gautam, a Project Engineer with Raven Builders Private Ltd. Besides issues related to machinery and funding, the other factor that leads to poor performance is contractors handling five works at a time “For example, if one contractor gets three to four works, then his resources are getting stressed,” said Chief Engineer Tougay Choedup.